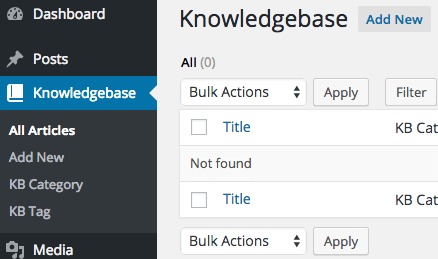 Search for Knowledgebase in your Plugins » Add New screen and hit Install Now to install the plugin. Head over to the dedicated menu and start composing the articles of your FAQ section. The default style is a 2-column layout based on the Responsive Grid system with some WebberZone magic thrown in to make it look beautiful on your desktop, tablet or mobile. The included search form allows your visitors to search the knowledgebase articles. It’s automatically included in the inbuilt templates and will soon be available as a shortcode. Knowledgebase uses custom taxonomy called KB Category to organise the articles. This is similar to your regular post category. 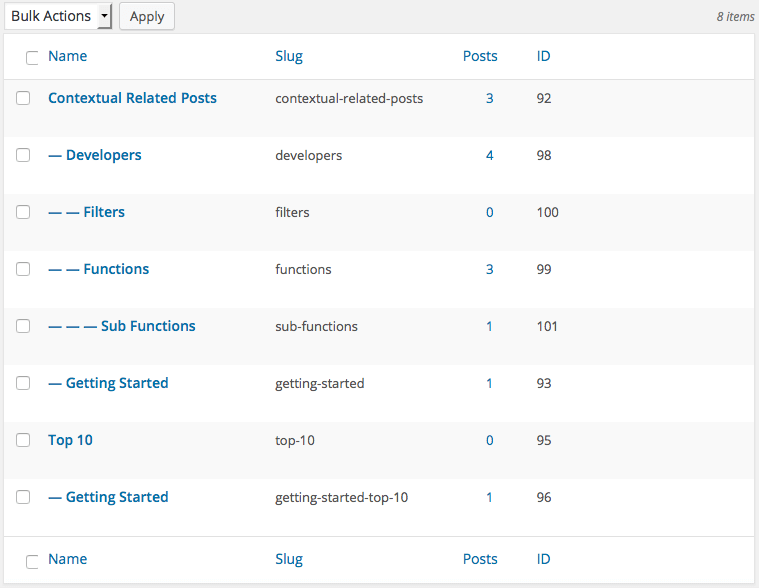 The only difference is that for the plugin, each KB Category is treated as a standalone mini-knowledgebase. WordPress supports an unlimited level of categories and so does our plugin! 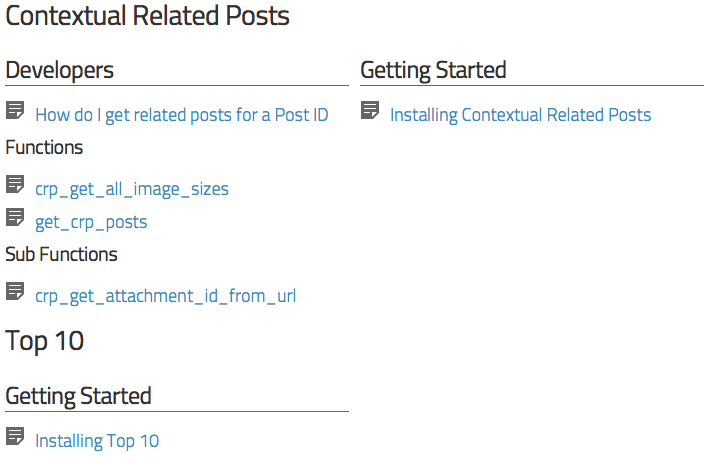 The screenshot above illustrates two main knowledgebases for Contextual Related Posts and Top 10 and these, in turn, have separate nested categories. Use [[knowledgebase]] to display the top-level KB or pass the KB Category ID to display a specific category. To Network activate or not? We’ll let you decide. And it works on your single-site installation of WordPress as well. Are you ready to take your documentation site to the next level?